I am back from my East Africa Wildlife Photo Tour. It was a great trip with many sightings and photo opportunities. Time to process my photos and return to writing this blog. While I was away, there were a few interesting pieces of photography news that caught my eye. 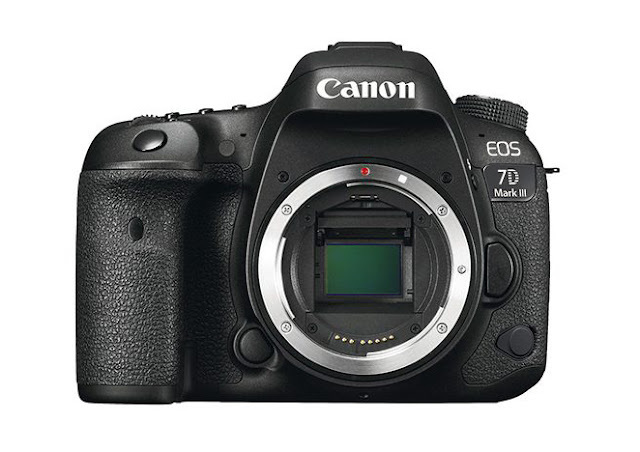 It seems Canon may be hesitating on annoucing the EOS-7D Mark III in 2018. I still think there is a slightly less than even chance they may release the camera this year, since the Nikon D500 is challenging the EOS-7D Mark II in a very serious way. If Canon decides not to release the Mark III in 2018, they will have to release a major firmware upgrade to the current model, like they did with the EOS-7D back in 2012. The EOS-90D will appear before the EOS-7D Mark III if the decision is made to delay its introduction. Also expect Canon to announce more Rebel series cameras before the CP+ Show on March 1 in Yokohama, Japan. Things are moving rapidly right now in Canon's labs and board room. They are planning to make big announcements in the next couple of years, from the full frame EF mount mirrorless camera to the Super Telephoto lens upgrade and more high end Diffractive Optics glass. All this is to culminate and capture the world's photographers attention leading up to the 2020 Summer Olympics in Tokyo. Check back often to find out the latest development. My readers know me as The Wildlife Ho-tographer, utilizing Canon equipment for over 30 years and traveling the globe on wildlife photo tours. You can follow my travels on Facebook and Twitter , see my equipment bag and works on MichaelDanielHo.com. Canon Testing A Different Type Of Camera Body?